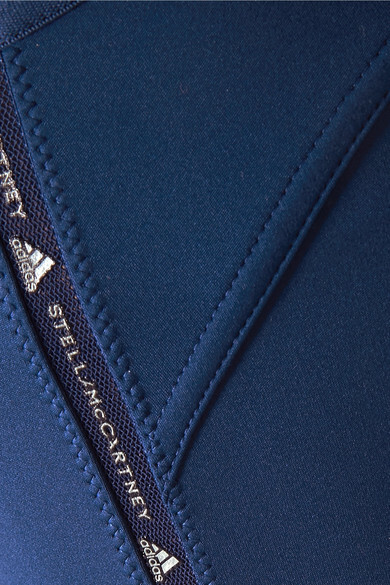 adidas by Stella McCartney is doing its part to reduce environmental impact by teaming up with Parley for the Oceans - pieces from the line are woven with recycled material that has been intercepted before becoming waste in the ocean. These 'Essentials' leggings are made from moisture-wicking Climalite® fabric to keep you cool as you work out and have mesh panels for ventilation. The elasticated waistband stays put during even the most intense training sessions. Shown here with: adidas by Stella McCartney Jacket, adidas by Stella McCartney Sneakers, Bang & Olufsen Headphones.